Cheryl Strauss Einhorn is the creator of the AREA Method, a decision-making system for individuals and companies to solve complex problems. Cheryl is the founder of CSE Consulting and the author of the book Problem Solved, a Powerful System for Making Complex Decisions with Confidence & Conviction. Cheryl teaches as an adjunct professor at Columbia Business School and has won several journalism awards for her investigative stories about international political, business and economic topics. Piracy is on the rise off the coast of Somalia again and there’s evidence that perhaps the maritime industry may have itself to blame. Indeed, the recent Somali hijacking of the Aris 13, a Comoros-flagged fuel tanker belonging to a Greek company, should be a wake-up call to the shipping industry that complacency is dangerous. How so? It seems that the maritime industry is a lot like many of us individually, prone to assumption, judgment, and common cognitive biases including confirmation bias, where we over value information that confirms our existing beliefs and salience bias, where we overweight evidence that is recent and vivid. Back in 2011, piracy was front page news as pirates held crews hostage only to ransom them back for as much as $13 million. The result was that maritime security costs shot up to $7 billion a year as the industry installed extensive security systems including lobbying for and receiving pricey navy patrols, as well as instituting protocols to re-route ships to take longer routes, or, at times increasing ship speed and fuel costs, while at the same time incurring hefty increases in ransom insurance rates. The coordinated vigilance worked. 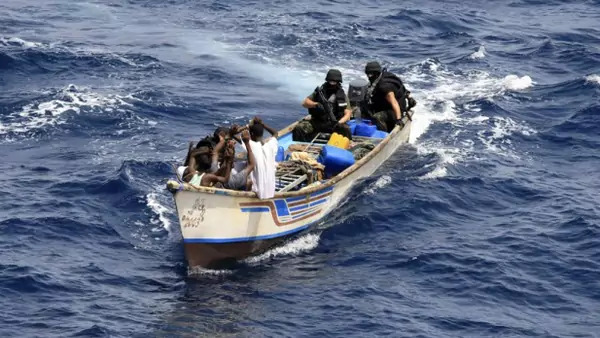 Piracy dropped from a peak of 488 incidents in 2011 to stabilize near 36 incidents each in 2015 and 2016, according to data from Oceans Beyond Piracy (OBP), a nonprofit that studies maritime security. But perhaps the industry misunderstood why piracy rates dropped. Looking at the hard data doesn’t tell the whole story; the industry knows that the numbers are notoriously incomplete. Yes, along with increased security protocols, reporting has improved somewhat, but not much since investigations take time, costing shipping companies up to $1000 per day of lost income, rates of prosecution are low and of course reporting impacts insurance rates, which can jump by 30 percent. Still, industry security costs fell to $1.7 billion in 2016 as the coordinated maritime efforts relaxed. Yes better threat assessments for different kinds of vessels lowered some insurance rates, but even more, the industry’s memory has faded and collective attention to piracy has waned. As incidents dropped, international naval patrols have stopped, partly replaced by intelligence gathering and communication protocols. But security on the seas has now fallen to independent nations like China and Japan. Moreover, private security forces are on the decline in the Indian Ocean. In 2011 private security cost nearly $60,000 per transit. Today rates are lower yet only 34 percent of ships still use armed guards, and even those no longer carry the recommended four-men teams even though “the cost of the guards have come way down,” says Jon Huggins, OBP’s director. In addition to fewer grey vessel patrols and on-board security, shipping companies are taking riskier actions again with regard to speed and proximity to the dangerous Somali coast, even as that country continues to suffer from weak government, warring territories, and ineffective or corrupt policing. The Aris hijacking took place reportedly while the vessel was traveling well below the recommended speed for its location. It was travelling the Socotra Gap, a route between Ethiopia and the island of Socotra in Yemen often used by vessels traveling along the east coast of Africa as a shortcut to save time and money. The pirates have taken note. “Gangs are coming back,” says Huggins, who says that the Aris’s crew was let go allegedly after the pirates emptied a safe on board holding about $70,000.